RuneAudio is a free and open source software with one specific objective: to transform an embedded platform (a cheap, silent and low-consumption mini-PC) into an Hi-Fi digital music player. It offers a lot of features and aims to be easy to use, flexible and future-proof. A RuneAudio device places itself at the heart of a digital music system. It can reproduce your digital music library from local USB drives or network mounts (NAS), and also plays any internet stream (web radios). It can be remotely controlled by multiple clients running on different devices. Staying at the top of the audio signal flow chain. It offers perfect and gapless playback of common audio formats, RuneAudio works best when connected to an asynchronous USB 2.0 DAC, an I2S DAC, or a S/PDIF output to a DAC. 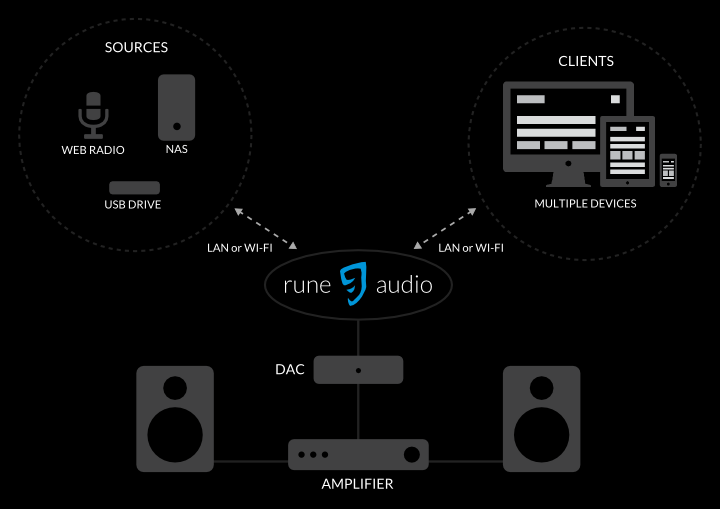 RuneAudio features RuneUI, an unique integrated and easy to use interface. Allowing the user to control the playback, browse the music database, manage playlists and edit the play queue. System configurations can be tweaked to obtain the best audio performance. It grants access to a number of system commands, without the need to open a terminal session. 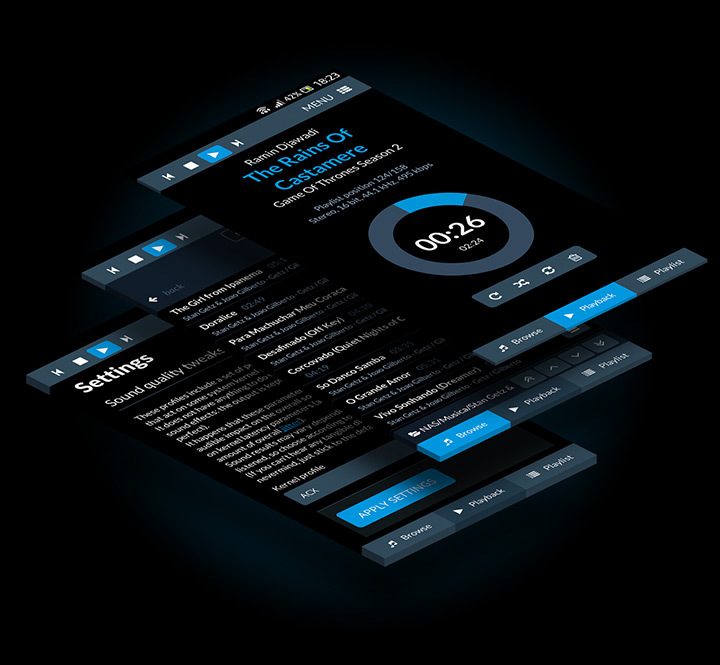 It is designed to be responsive, and it displays correctly, scaling itself for every kind of device, including: desktop PCs, laptops, netbooks, tablets and smartphones. RuneAudio runs on RuneOS, a custom built GNU Linux operating system, based on Arch Linux. It is lightweight, and it has an ultra low latency. It’s multiplatform, optimized to run on multiple devices, and it aims for the best reasonable sound quality from each device. RuneOS also includes a number of kernel profiles, which are switchable sets of performance tweaks acting on some system kernel parameters. This does not have anything to do with Digital Signal Processing or other sound effects – the output is kept untouched (bit perfect). It can happen that these parameters introduce an audible impact on the overall sound quality, acting on kernel latency parameters (and probably on the amount of overall jitter). Sound results may vary depending on each setup, so users can choose a profile, according to their personal tastes.